A project designed to get people out of unemployment and back into work has led to one young woman launching her own business. 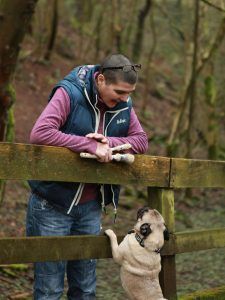 Thanks to almost £100,000 in grant funding, the Skills 4 You project in Cleator Moor has boosted confidence and given hundreds of people skills to make positive changes and get them back into employment. One such person is Lisa from Cleator. She lost her job and was feeling low. She found the Skills 4 You project, which teaches woodcraft and upcycling to help people who have a chronic lack of confidence, caused by mental or physical health challenges. 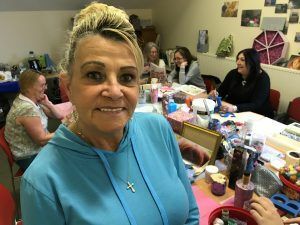 When Lisa joined the craft group, she was feeling anxious, having regular panic attacks and suffering from depression. 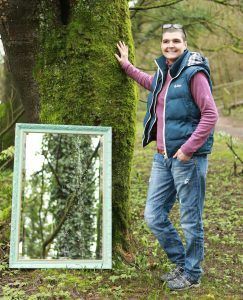 But, determined to try lots of craft techniques, she quickly got the hang of decoupage and painting, so much so that in 2018, she started her own business upcycling and re-purposing old furniture and mirrors. Lisa said: “The course was a major influence; it gave me the inspiration and confidence to start my own business after a terrible time in my life”. Lisa’s story is a familiar one, and although Lisa has an array of qualifications and many years of experience behind her, West Cumbria has high levels of unemployment, where a shocking one in four adults living in Copeland have no qualifications. Trying to address this issue is the Skills 4 You project, run by social enterprise, Home to Work, by providing training opportunities to local residents. 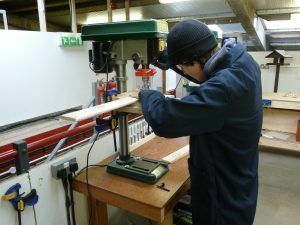 The project was launched in 2014 and has been supported by Cumbria Community Foundation for the last four years, to offer practical skills, mainly to 16 – 24 year olds, and a range of short courses to help people get on to mainstream accredited courses. 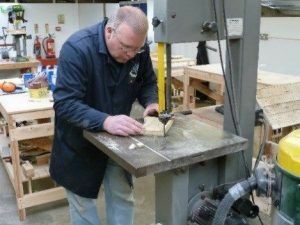 The eight-week training offers the opportunity to learn woodworking and crafting in an on-site workshop. Alongside the practical training, the course offers mentoring, support in writing a CV and how to perform in a job interview. It also looks at the social skills in life which can support mental health and wellbeing. 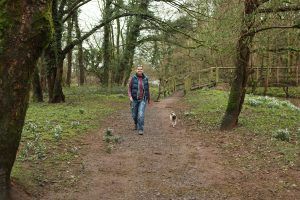 The activities on offer include restoring furniture, recycling salvaged timber to make garden furniture, planters or picnic tables, and creating simple wooden items like small toys, bird boxes, bird tables and sandpits. The training course also helped Joe from Whitehaven. He left school at 16 with six GCSEs and had numerous jobs over the years. However, when he became unemployed, he started at Skills 4 You as by then, he had 4 children and wanted to be able to support his family. Home to work was first supported by the Foundation in 2007. 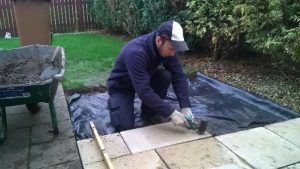 £998 from the Sellafield Site Fund replaced old garden equipment for the Works 4 You project, developed to generate income by providing grounds maintenance services and employment to the local community. The garden scheme had been running for 6 years and the grant contributed to 2 lawnmowers and 2 strimmer’s to enable the charity to deliver garden services to the elderly and deprived communities of Cleator Moor, Frizington and Workington.